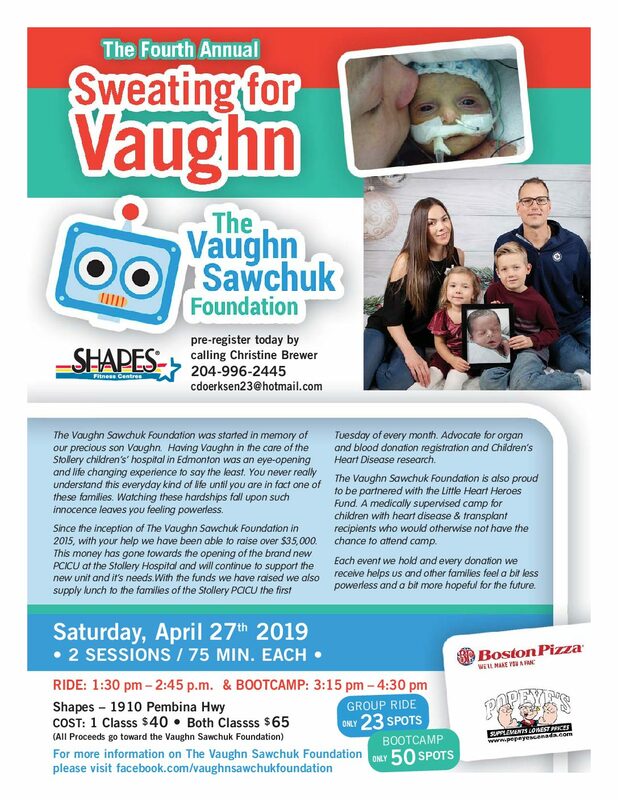 The Vaughn Sawchuk Foundation > Our Robot > 4th Annual Sweating for Vaughn! Keep your heart healthy & body strong by RIDE 1:30-2:45 & BOOTCAMP 3:15-4:30. Prizes & Goodies from @bostonpizzacanada & @popeyeswinnipeg ! All skills and abilities welcome for this fun event!